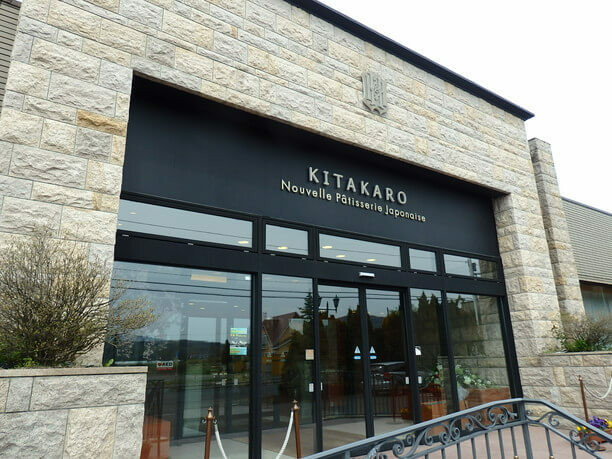 Kitakaro was founded in Sunagawa city in 1991. It is a major sweet shop chain with 11 shops in Hokkaido, including department stores in Sapporo and Shin Chitose Airport. 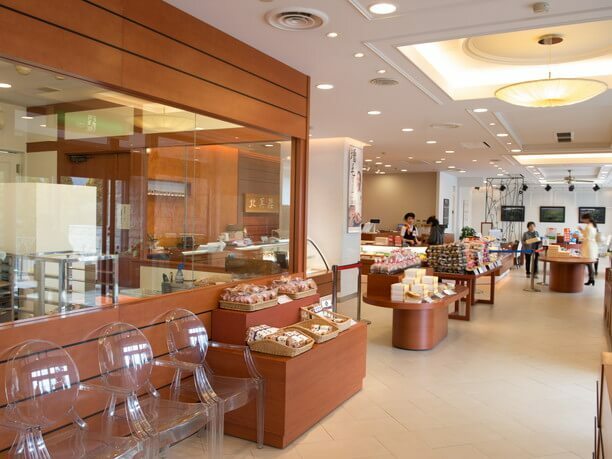 They offer souvenir confectioneries such as jumbo cream puff and pioneering okaki that are popular with tourists outside of Hokkaido. 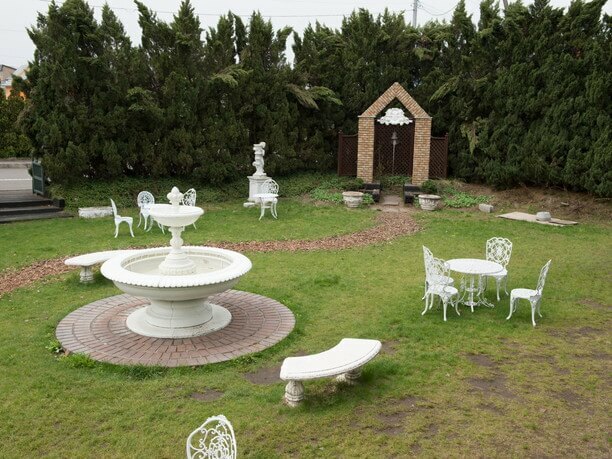 Their Sunagawa main store is a relaxing shop with a stylish cafe, gallery space and garden. 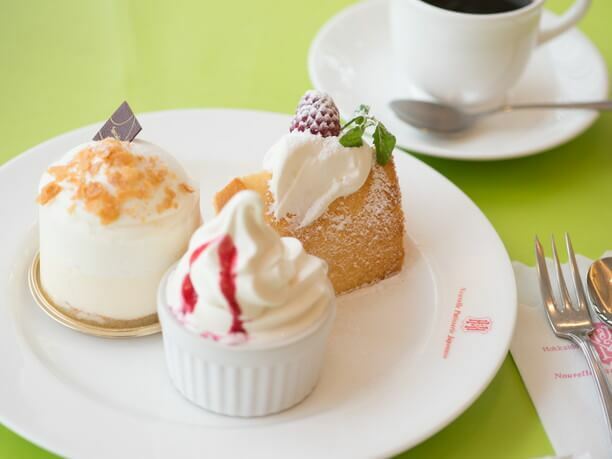 They have great “sweet”deals and a delicious cafe menu! Their shops are filled with popular items! 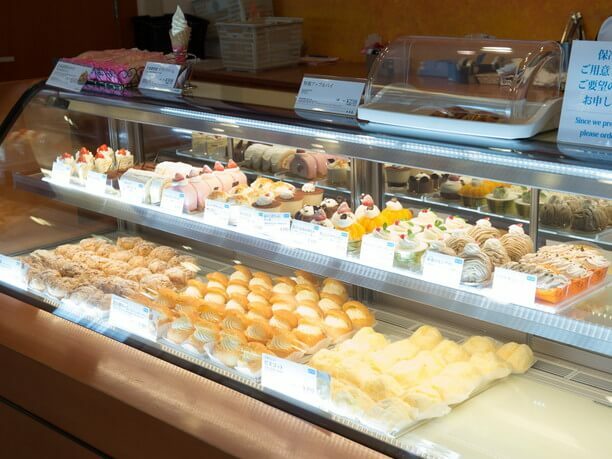 In the shop space, their various sweets are lined up, such as the “Kaitaku Okaki,” “jumbo cream puff,” and “hamanasu no Koi.” The Kitakaro Sunagawa main store has the largest selection of items among all the Kitakaro stores, with limited edition products as well. For example the “Rolls roll” of roll cake, and Japanese sweets such as Oshiki and Daifuku are rare items which can only be purchased here. There is also a number of limited edition suites on weekdays, so check it out. Regional shipping is also available for some items. Enjoy their gallery and surrounding nature too! 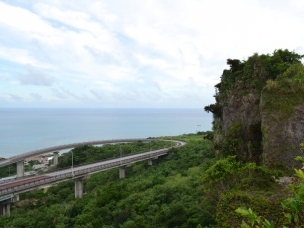 ・car⇒ By car, taking the general route from Shin Chitose Airport it is 70 miles and takes about 1 hour 51 minutes. You take the National Highway 337, to Route 45, to Highway 30 to National Highway 12 Route. 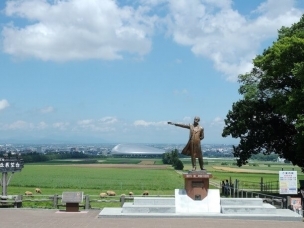 By car taking the high-speed Highway, it is 80 miles from Shin Chitose Airport. 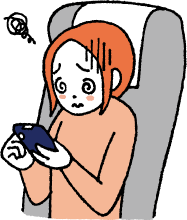 It takes about 1 hour 28 minutes, at a high-speed price 3,580 yen. 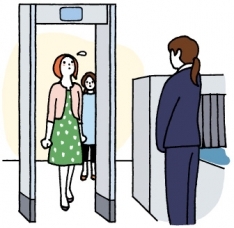 Get on the Road motorway at the Shin Chitose airport IC to the Sunagawa Smart IC utilization exit. After getting off the highway continue down the road via the 1027 route. Introducing Rokatei main store from the Tokachi area of Obihiro.